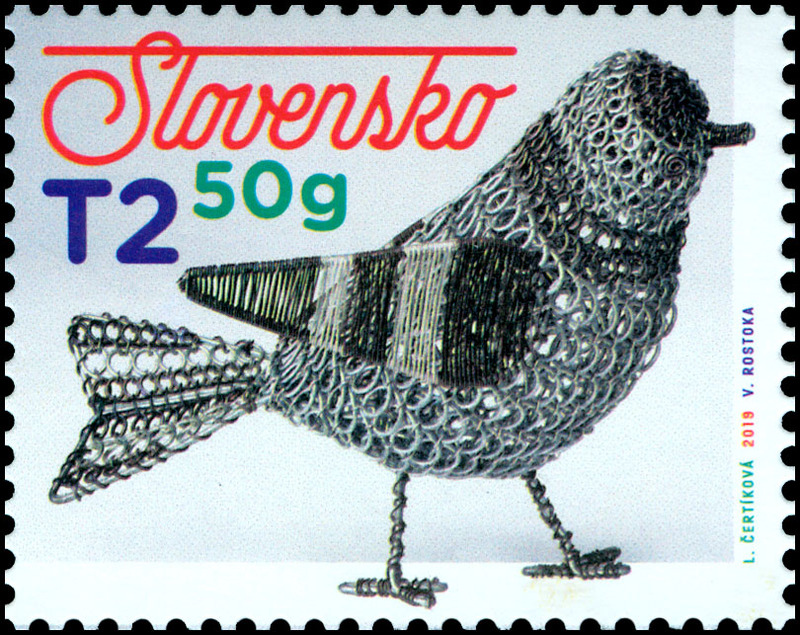 Postage stamp from the Day of postage stamp series devoted to the Slovak artist and the author of Slovak postage stamps Vincent Hložník (1919 – 1997). 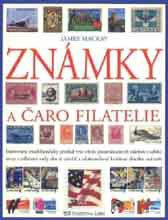 Postage stamp of the PERSONALTIES stamp series commemorating the 150th birth anniversary of the American-European philanthropist and banker of Slovak origin Michal Bosák. 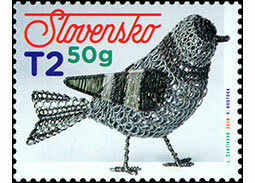 Postage stamp from the ART series depicting a painting Self portrait with paper cap by Ernest Zmeták. 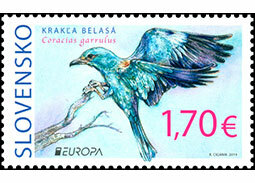 Postage stamp from the ART series depicting a photography of the Villa Dr. 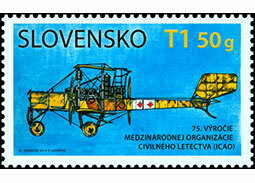 Woo in Shanghai by Ladislav Hudec. 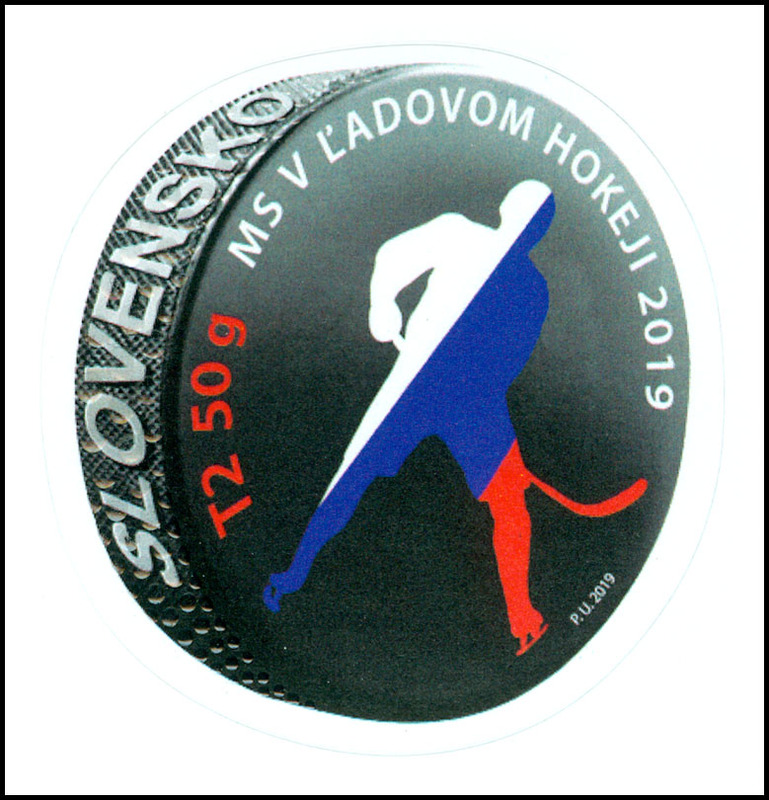 Commemorative postage stamp issued on the occasion of the exhibition of children's book illustrations Biennial of Illustrations Bratislava 2019. 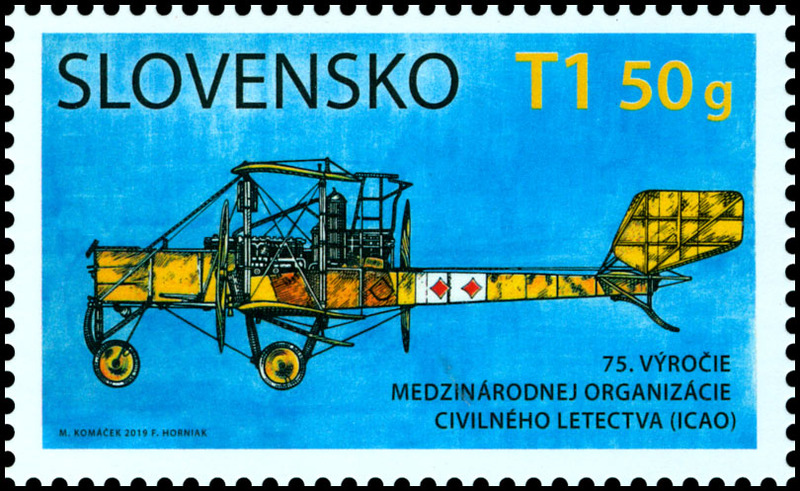 An occasional postage stamp issued on the occasion of the 75th anniversary of the Slovak National Uprising. 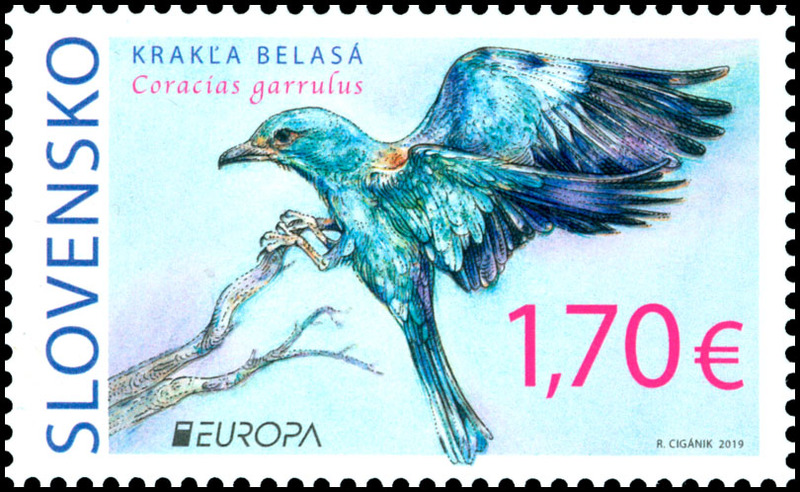 Commemorative postage stamp issued to commemorate the 100th Anniversary of the foundation of the Comenius University in Bratislava. 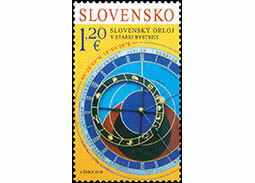 Commemorative postage stamp issued to mark the International Mathematical Olympiad. 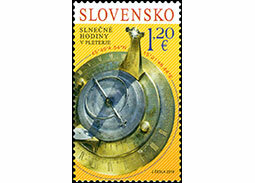 Commemorative postmark used on the occasion of the inauguration of the postage stamps Slovak Astronomical Clock in Stara Bystrica and Sundial in Pleterje (Joint Issue with Slovenia) in Stara Bystrica (Slovakia). 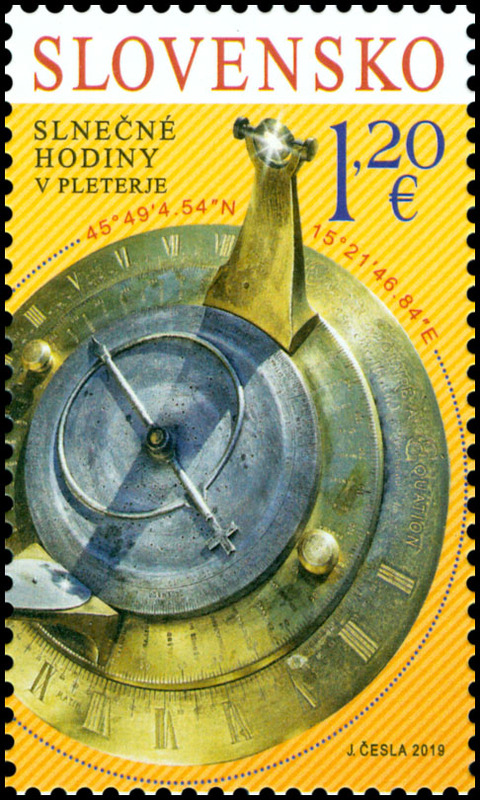 Postage stamp devoted to the Sundial in Pleterje issued as a joint issue with Slovenia. 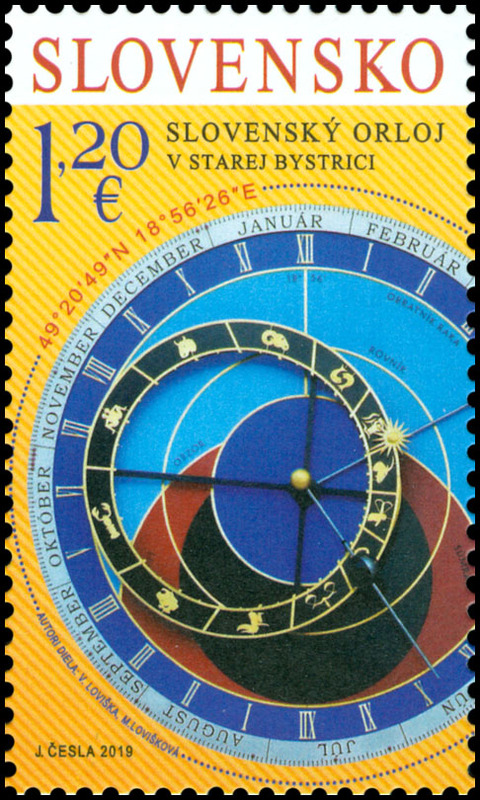 Postage stamp devoted to the Slovak Astronomical Clock in Stara Bystrica issued as a joint issue with Slovenia.